At Sellers R.V. we are proud to have the largest R.V. Parts and Accessories Department in the Midwest. We know that having in stock parts equals you back on the road and camping faster. If we don’t have it, we will do our best to get it as fast as possible. We have the experience and expertise that you’re looking for. We deal with top of the line suppliers and manufacturers to bring you parts and accessories you can trust. If you are looking to make some repairs to your trailer we have a wide selection of parts that will help you get the job done. Have a repair that’s a little bigger then you want to handle we can help you out there also. If for some reason you are looking for something that we are currently out of stock our parts staff will be more than happy to order the part in for you. Give us a call or send us an email to see if what you are looking for is currently in stock and we can put your order aside for you so that it’s ready to go when you come in. Looking for some ideas or suggestions on accessories for your RV? See our friendly parts and accessories staff who are here to help you out. We would be more than happy to help you find that unique part you are looking for or help you make sure you have all your bases covered for you next trip. We are here to help make your camping experience a memorable one. You’re in a hurry and have a million things on your mind – our staff is more than happy to go over the must haves to make sure you are covered for that trip. Have a camper in your family and looking for the perfect gift – we can help there also. 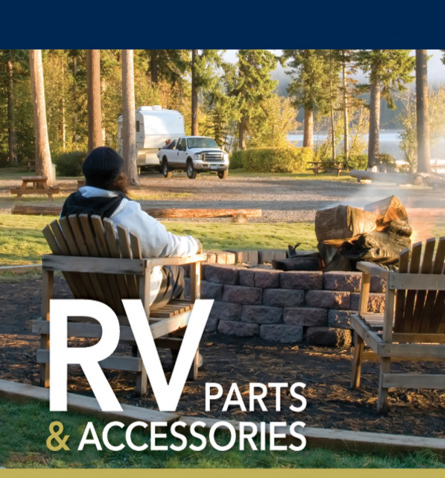 Let the parts staff at Sellers RV take care of all your RV parts & accessories needs.